This post was brought to you by Vanity Planet and the Motherhood, all opinions are 100% my own. 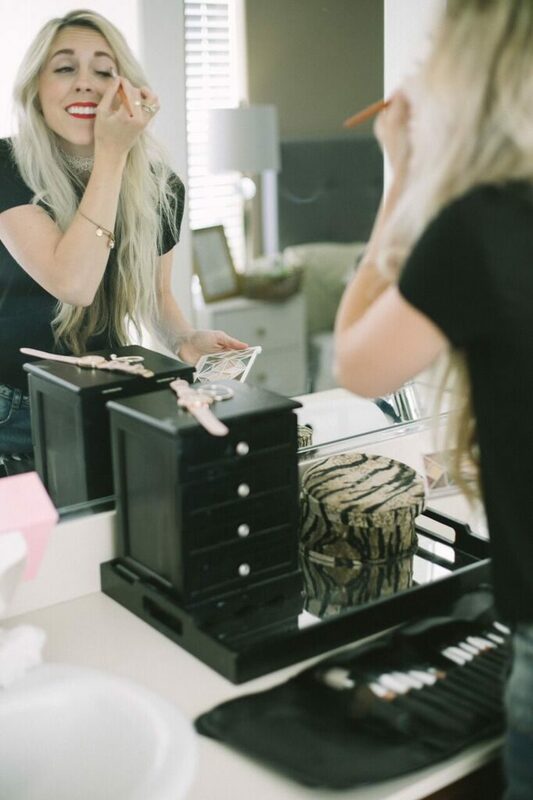 One question we get asked more than ever is what beauty products we love or are using these days. Today I will be sharing two or my absolute favorite products. 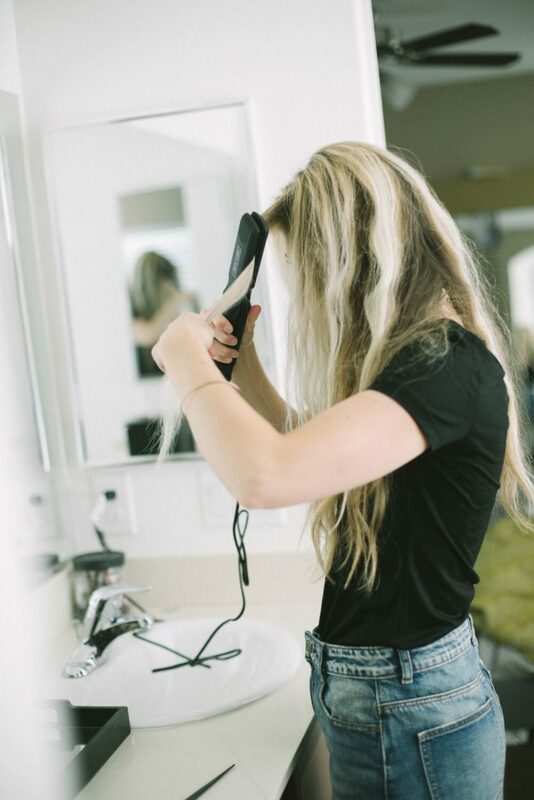 First off is this Vibe Professional Vibrating Flat Iron, it combines even heat and gentle vibration to limit friction and provide fluid, smooth styling. 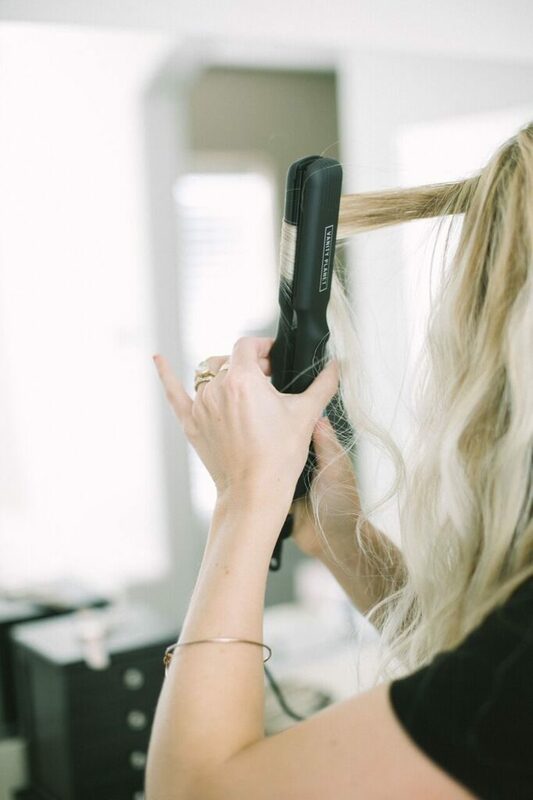 Forget pulling your hair and having kinks and creases, the vibrating technology allows hair to glide freely between plates for a smoother look and effortless experience! I can not believe how quickly the iron heats up, with my old iron I would have to wait forever to even get it to my desired temperature. As a hair dresser I am always looking for something that can be a one and done thing. I don't want to straighten my hair everyday, causing too much damage. That's what I love about this flat iron, I can straighten it one time and I am good for days! One of my favorite things to use my straightener for is curling my hair, as you can see from my pics below. 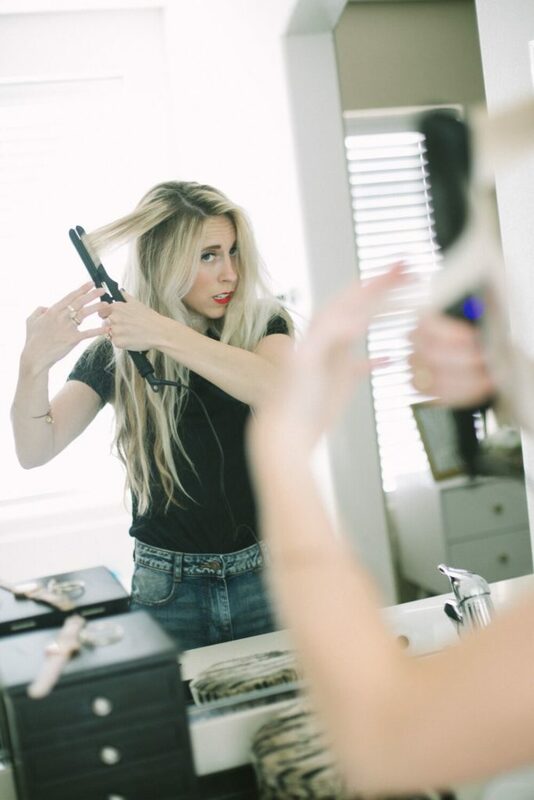 By wrapping your hair around the straightener you get an effortless beach wave look that I love. 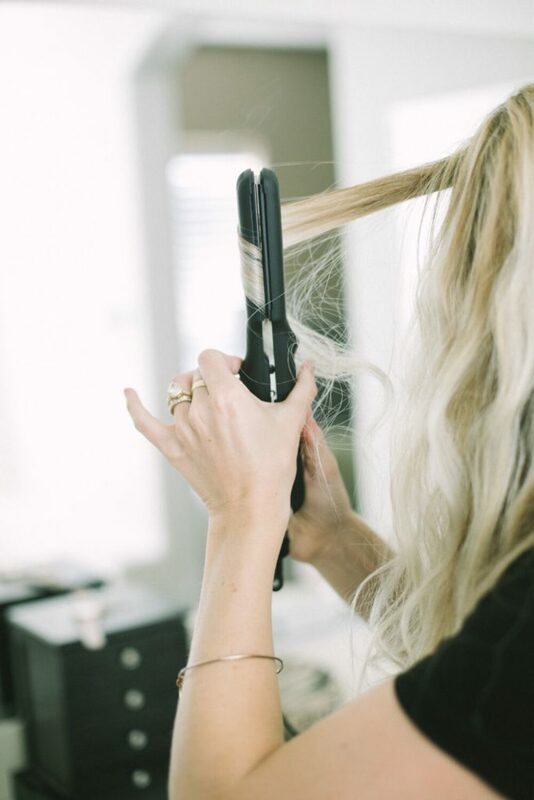 Who has time to recur your hair every morning, especially us moms! 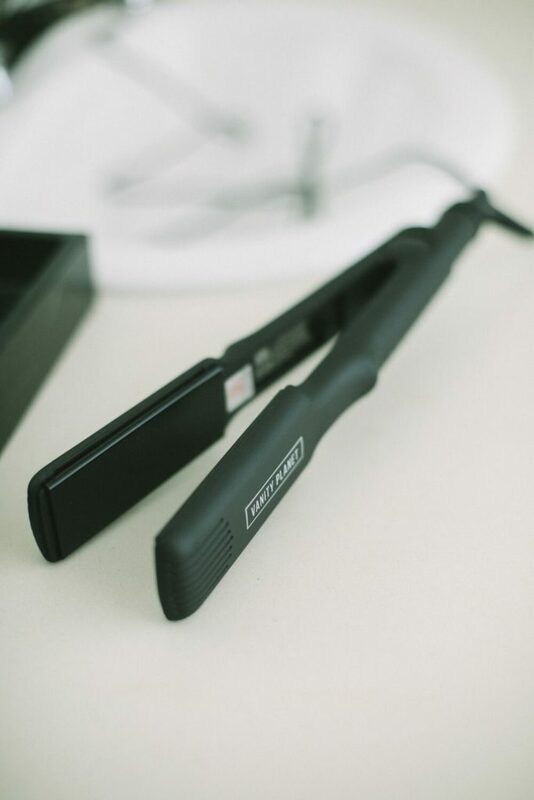 That is one of my favorite things about using this straightener, every day I get a new more relaxed look and I love it! Use code Sister50 for 50% off! My whole life I have used the same 3 make up brushes, I know GROSS! Not to mention I can probably count on one hand the amount of times I washed them...EEK. When I received these Palette Professional Makeup Brushes I was thrilled! 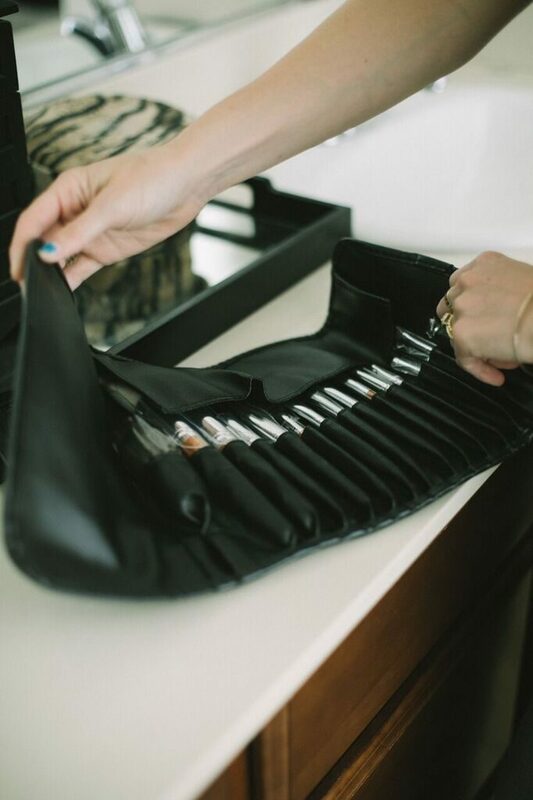 Say goodbye to mixed up, dirty brushes and disorganized, unsanitary brush bags. 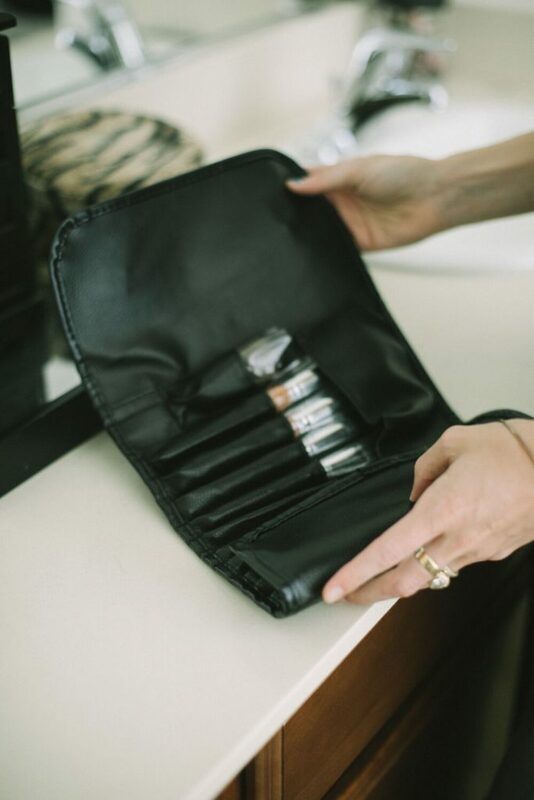 Palette ensures you have the beauty tools you need to look your best, and it keeps them tucked away in a clean, convent rollout pouch. Each brush in this collection has a specific function to help you create any look you want, whether it's a natural or bold take. You see A LOT of pictures of me, and clearly Kenzi and I both go for a more natural look. The package includes 15 brushes to give you a versatile and comprehensive styling experience, from applying your favorite blush to quick concealer touch ups. 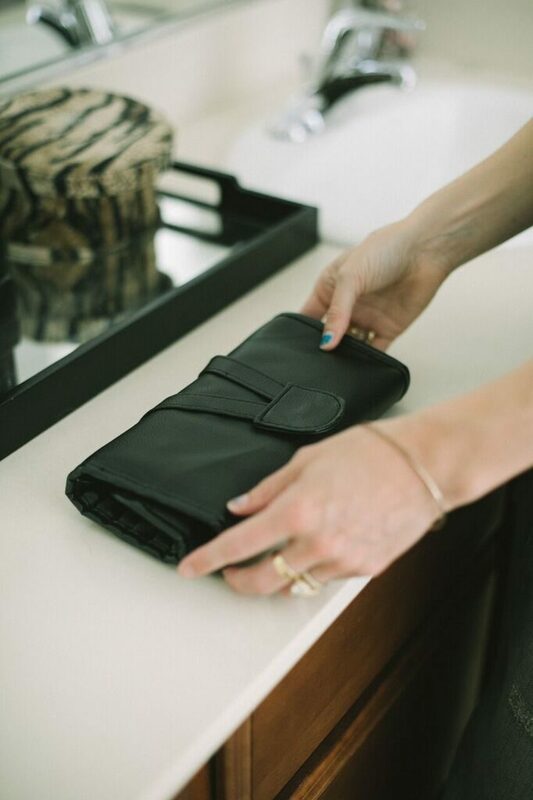 To protect the brush heads, the case is designed with a fold over flap so that the bristles will not get damaged over time. The brushes are made with Premium Synthetic Bristles, and have a silky soft feel and are cruelty free.